Bradley Wiggins (Sky) formed part of a spectacular day-long break in stage five of the Tour of Andalusia in which local team Andalusia-Cajasure attempted – unsuccessfully – to dislodge Michael Rogers (HTC-Columbia) from the overall lead. Almost as soon as the hilly stage six from Torrox to Antequera had got underway, on the first climb of the day, Wiggins broke away with Bryce Feillu (Vancansoleil), Marco Manzano (Lampre) and overall challenger Angel Vicioso (Andalusia-Cajasur). The move gained nearly five minutes mid-way through the 161 kilometre stage, making Vicioso race leader on the road. But even after the advantage was slashed to around two minutes at one point, the Andalusia-Cajasur team did not give up. Instead they bridged across another two riders – Jose Angel Gomez Marchante and Antonio Piedra – and reinforced the break again. The Spanish team’s ultra-aggressive strategy almost worked. However, the final climb of the day, a first category ascent of El Torcal saw the break’s advantage dip again, and the move was finally reeled in with around 20 kilometres to go. By this point there were just 40 riders in the front group, including Rogers. The overall was decided, but Sky piled on the pressure to see if Simon Gerrans could improve on his third place in the uphill finish on stage four to Benahavis. However, Francisco Ventoso (Carmiooro) made a long charge for the finish line in Antequera, and although Gerrans made a powerfull counter-challenge, the Spaniard just fended off the Australian for the Portuguese team’s second win of the race. 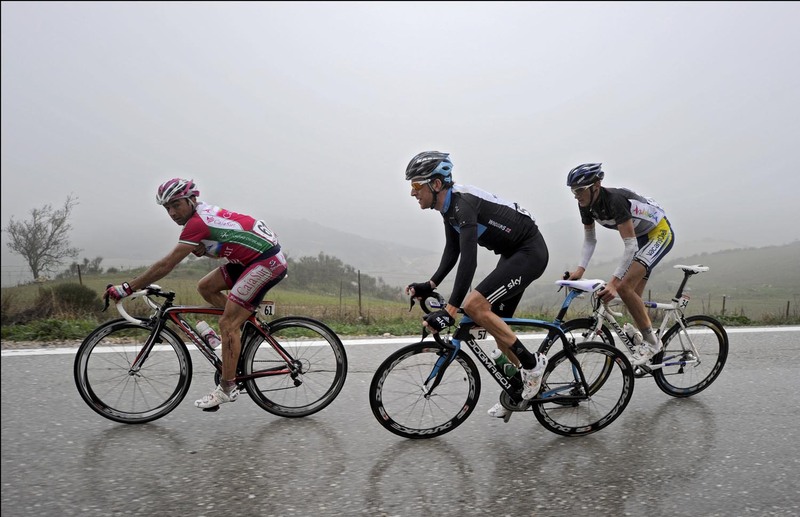 Rogers took third and the overall victory ahead of Omega-Pharma’s Jurgen Van Den Broeck. 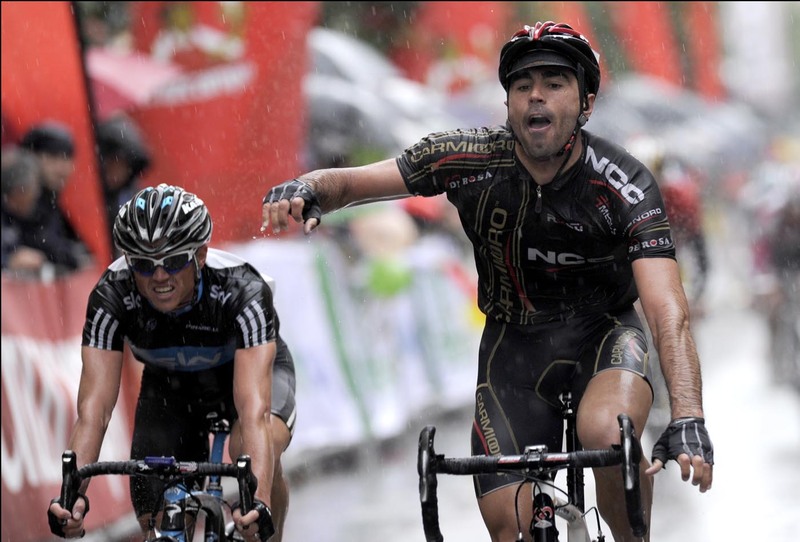 Mark Cavendish (HTC-Columbia) was one of 20 riders who abandoned mid-way through the rainsoaked stage, at the first feed. Britain’s top finisher was Steve Cummings (Team Sky), 22nd on the final stage and a creditable 15th overall after a solid week of riding. Cavendish’s next race will be Tirreno-Adriatico whilst Wiggins will be taking part in the Tour of Murcia. After his strong rides in Andalusia, the five-day stage race could see the Londoner back in the action again. 10. Johnny Hoogerland (Ned) Vacansoleil all same time.